Our inboxes are subjected to generic emails from some of the biggest brands in the world. Each morning, we reach for our phone and delete as many of them as we can. Is traditional email marketing broken? And do we need to talk about it? I recently discovered the 2017 Email Marketing Industry Report. The report answers the question “What’s driving today’s marketers?” by drawing upon a survey of 200 organizations and interviews with over 25 industry leaders at Emma’s annual Marketing United conference. Email might still be king, but modern marketers need to start thinking outside of the inbox. Marketers are wrestling with conflicting priorities. Most marketers understand that great marketing means putting the customer first, but their internal goals aren’t lining up. 68% say that gaining new customers and increasing revenue are their ultimate measures of success. Marketers have the data, but they don’t have the resources. Over 64% point to not having enough time or enough personnel to do the kind of marketing they would like. Only 16% identified lack of data as a pain point. Email is still the king. 47% of marketers report that email generates the most ROI for their organization, and 58% plan to increase spending on email marketing during the next year. Colby Cavanaugh believes it’s time to get more from your email marketing. 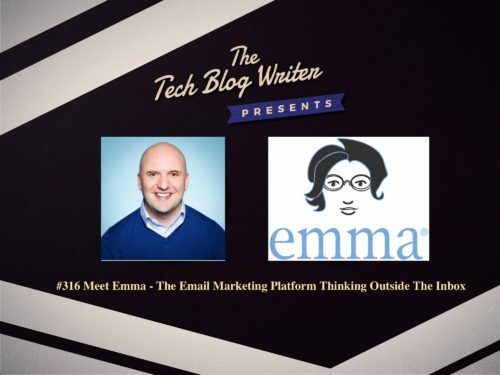 Emma’s powerful digital marketing platform aims to make it easy for teams of all sizes to create beautifully designed email campaigns that drive results. Identifying who to target, automating marketing programs and integrate with the technologies they use most to deliver more timely, personalized and effective communications.